Valkenier is recognized as one of the "founding fathers" of horn-playing in the United States. He came from the European (Czech and German) tradition, and his tenure in Boston influenced players and his many students. Valkenier was born in 1887 in Rotterdam, The Netherlands. He had piano lessons as a child and started horn with a military clarinetist, who, when Valkenier was 14, sent him to Edward Preus. Preus was a natural horn player from Bohemia (Czechoslovakia) who had played first horn in a German opera company in Rotterdam and settled there. He was a strict taskmaster, sparing with praise, who taught the Czech cantabile tradition. After two years studying with Preus, Valkenier started playing in a vaudeville theater orchestra. In the summer, he played in a Civil Guard symphonic band with Preus playing first horn, a continuation of his education. His first major professional job was third horn in a symphony orchestra in Gronignen (Netherlands), then a year as first horn in Haarlem. Wanting a better living than he could attain in the Netherlands, he found a job as first horn in the Collegium Musicum in Winterthur, Switzerland. After a year, he saw an advertisement for first horn in Breslau (Silesia, later part of Poland), a larger city, where he won the job and got an excellent grounding in opera. Valkenier applied for a summer engagement in Bad Kissingen, Germany, where the Konzertverein Orchestra from Vienna played. After he had performed the Aria from the Bach B Minor Mass, Valkenier was offered the permanent first horn position; the orchestra bought out the remainder of his Breslau contract. In Vienna, Valkenier played a lot of Mahler (Mahler had died the year before) as well as chamber music. World War I wreaked havoc with the orchestras in Vienna, so in 1914 Valkenier found a position as first horn with the Berlin State Opera, where he stayed nine years and played under Furtwangler and Richard Strauss, among others. In 1923, Valkenier, a pacifist and still a Dutch citizen, began to see that conditions in Germany were going to "go wrong" in response to the Treaty of Versailles that ended World War I. He was friendly with cellist Pablo Casals and considered settling in Barcelona, but finally decided to try America. Valkenier talked with conductors in New York and Chicago, but both had six-month union waiting periods, so he went to Boston (a non-union orchestra until 1942) as first horn of the second horn section. Valkenier was a member of the Boston Symphony Orchestra from 1923 to 1950. His first year was under Pierre Monteux, then Koussevitsky took over for 25 years. Around 1950, Valkenier started having trouble with his teeth and so decided to stop playing. He had not liked playing under Koussevitsky, so he stayed long enough to play a season under Charles Munch. While in Boston, Valkenier delighted in performing chamber music, in both professional engagements and informal pick-up sessions with his colleagues in the BSO or with visiting artists such as Arthur Schnabel, Arnold Schoenberg, and Paul Hindemith. He also played viola and cello parts on his horn. Valkenier taught many students at New England Conservatory during his BSO tenure and others on Cape Cod during his retirement. He had high standards and insisted on everything being played correctly, but he was also gentle and encouraging, and he was an advisor and confidant to his students, taking a paternal interest in them. Valkenier started playing on a hand horn, then a Slot single horn. His first double horn was a Kruspe, and the second a Schmidt. Later he used a Kruspe single B-flat horn for operas and a Schmidt single high F horn for high Bach cantatas. 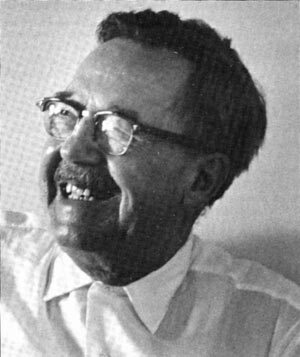 Valkenier was elected an Honorary Member in 1971. A profile of him appears in the October 1983 issue of The Horn Call, a memoriam in the October 1986 issue, and a transcription of an interview in the February 1994 issue. Additional photos of Boston Symphony Orchestra sections appear in the April 1988 issue.